Wood Wood’s autumn/winter 2019 collection presented a woodland adventure, drawing its main inspiration from nature and the wilderness. 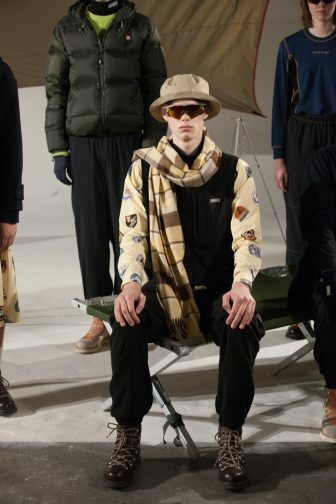 The garments were ready to face the great outdoors, in particular the higher altitudes of the mountains. 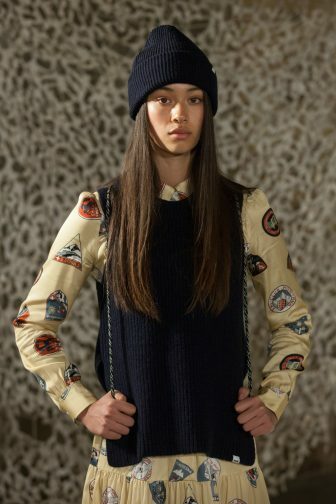 The alpine theme was thoroughly depicted through rich print stories, details and coniferous colours, creating a nostalgic skiwear aesthetic. 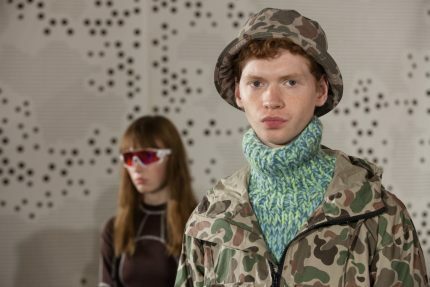 Sporty jerseys, inspired by skiing underwear, and ribbed wool ear warmers were just some of the elements that indicated the strong wearability of the collection. There were chunky half-cardigan stitch jumpers that were perfect for an aprés ski retreat, as were the clunky unisex leather boots with hiking laces. 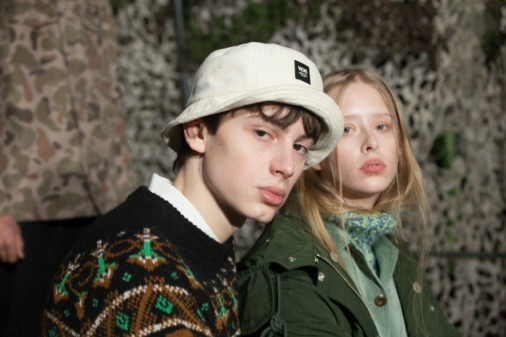 Accessories were generously incorporated throughout, and included soft tartan scarfs, lightweight gym bags, neoprene tech gloves and youthful bucket hats. 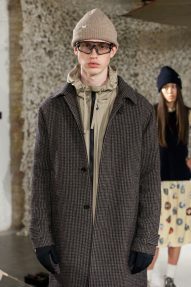 The womenswear pieces had a particular focus on outerwear, including a traditional boxy duffle coat with classic rope and horn button closure, as well as an A-line tweed coat with silver buckle details. 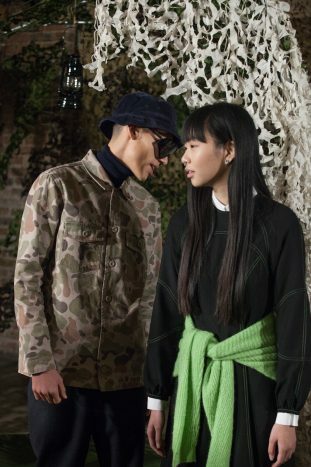 A utilitarian and military sartorial tone was maintained through combat trousers, a skirt with large front pockets and a boilersuit. 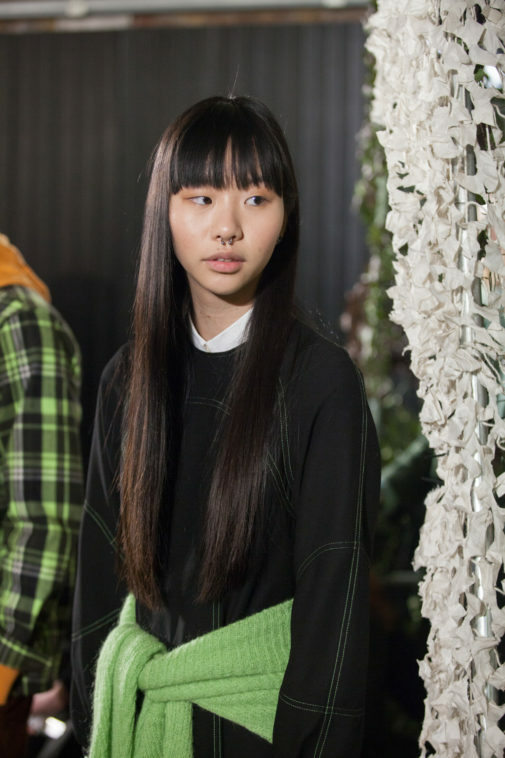 Chunky oversized knitwear came in cool tones of aqua, mint, navy and bright green. 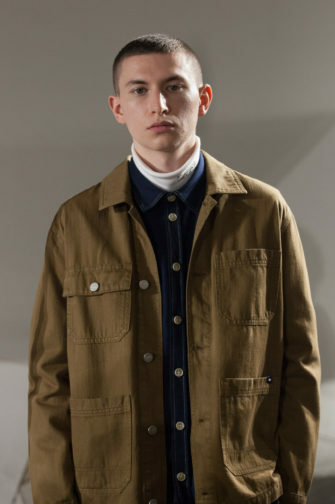 For menswear, an evergreen colour palette of forest green, khaki and driftwood was utilised in outerwear such as parkas, M65 hooded jackets, and camouflage-print utility jackets. 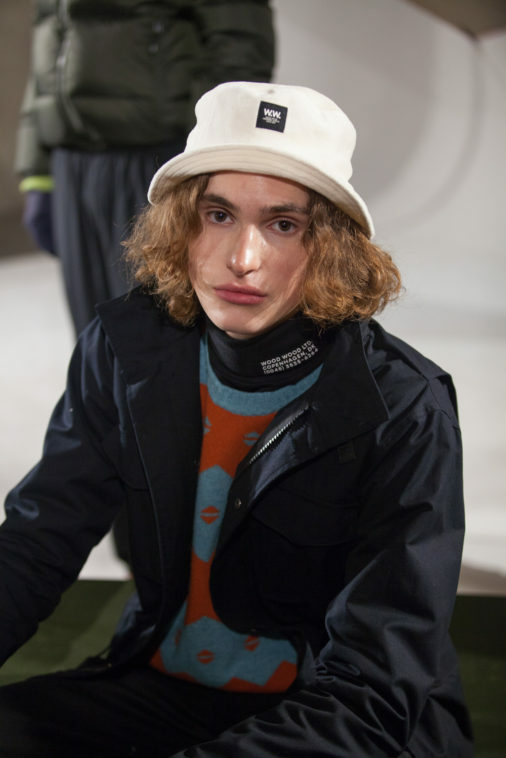 Additional outerwear included a luxurious tweed coat and a 90s-inspired sporty fleece vest and jacket. 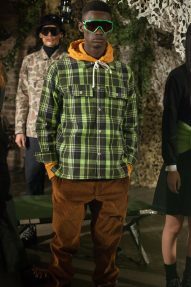 Elsewhere, chunky fabrics were combined with a performance element and functional details, emulating a wintry Nordic fashion.